Hotel 16 is a real Gem. 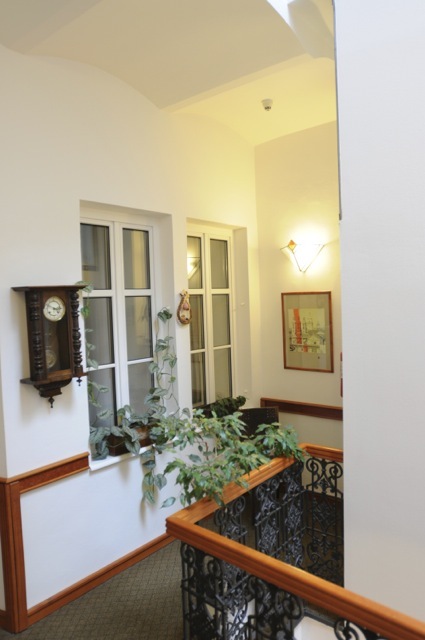 There are a number of reasons why you could consider this your first choice for lodging in Prague, as it compares very favorably to more centrally located and expensive hotels. With respect to location, Kateřinska is not a street with a lot of traffic. Instead, it is on the boundary between Charles' Square and the Vytoň neighborhood. 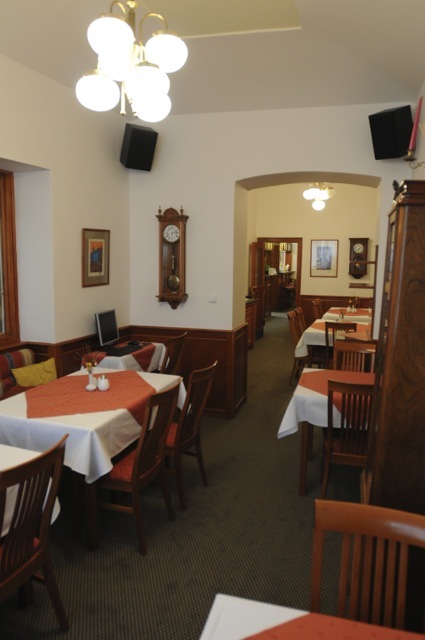 While not the immediate center, it is also not as busy, and it is within easy walking distance to many historical landmarks (Church of Saints Cyril & Methodus, Vyšehrad) . There are also tram and metro services within an easy 5 minute walk. The neighborhood has an abundance of cafes and restaurants, which are reasonably priced when compared to the center. Nearby there is a Botanical Garden, the Dvořak Museum, and a little bit further is the Vltava River, with a Farmer's Market each Sat.. There is also hospital, that is part of the Charles' University Medical School. The hotel was reconstructed in the 1990's, after being reclaimed from the State. Soon it will celebrate 20 years since this was completed. 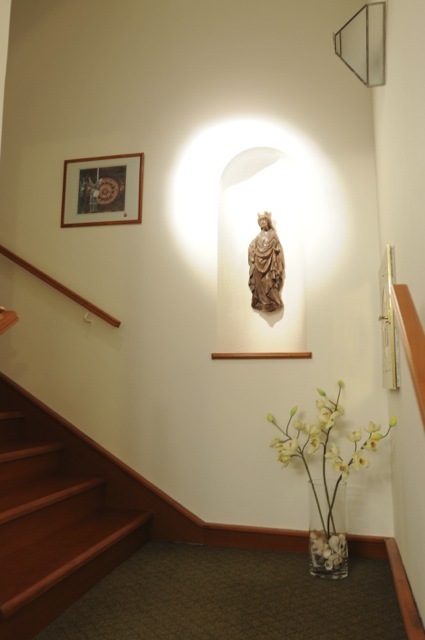 Nevertheless, the interior is well maintained, and the facility still appears new. 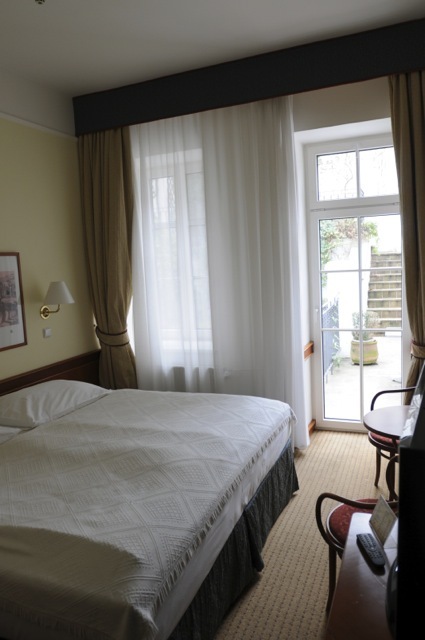 The hotel is family owned, yet professionally managed by a friendly, informative and eager staff. They are ranked well above their weight by Trip Advisor. The rooms are not large, but the service is excellent. Amenities at the Hotel 16 include elevator, refreshments in the rooms, a private terrace, free wi-fi and a buffet breakfast. There is also a well stocked bar for anyone who might need a little help getting a good night sleep. We have placed many clients in the Hotel 16 over the years, and the feedback was always glowing. We are happy to recommend this facility to you. As an added benefit, if you book a day trip with us outside of Prague, along with a Prague tour, and the Hotel booking, we will provide a free transfer from the Airport or Train Station.